If our five-section Pride issue was too heavy to carry home from the parade, you can now find it online. Go to http://sgn.org/sgnnews35_26/index.cfm and click on the "Seattle Gay News Pride '07" banner on the home page and you'll find our special sections on travel (Oahu, Dallas, Victoria BC, and more), music (summer concert preview, The Police review, and more), and theater (exclusive Tony Awards red carpet coverage, and more). Please note that these files are PDF, so make sure your computer is able to open and download them first. The standard sections of our Pride issue, with local news and Arts & Entertainment features, can be found at http://sgn.org/sgnnews35_24/index.cfm. Seattle Gay News really enjoyed putting together this special Pride issue for you, and we look forward to doing it again in 2008! The King County Medical Examiner's office said that a body recovered from a Queen Anne home is that of missing openly Gay talk show host Mike Webb. The death has been ruled a homicide due to stab wounds found on the body. Longtime Gay rights advocate and real estate agent David Neth discovered the body Thursday under a blue tarp in a crawl space at a home he rented to Webb for the last 14 years. The entry to the crawl space had been blocked. Family and friends filed a missing person's report in May after not hearing from Webb. Webb had hosted a top-rated radio show for years on 710 KIRO AM until December 2005. He also hosted a show from 1999-2000 on the nation's first GLBT radio network, GAYBC. in recent years, he hosted a radio webcast from his website, MikeWebb.org. GAYBC Radio founder John McMullen is hosting a tribute webcast from the GAYBC.com website from 3 to 5 pm Pacific, 6 to 8 pm Eastern on Friday, June 29. Webb's former KIRO producer Jeremy Grater, close friend Bob Vesely (who filed the original missing person's report), and Webb's former program director, Tom Clendening, are among the guests. An archive of the tribute will also be available beginning on Monday, July 2, at GAYBC.com. On a personal note, I had been on Webb's KIRO program several times, his GAYBC.com radio program and, more recently, on his MikeWebb.org webcast. I had also been to his Queen Anne home once several years ago. As a fan of Mike Webb, I am truly saddened by the news of Webb's death. 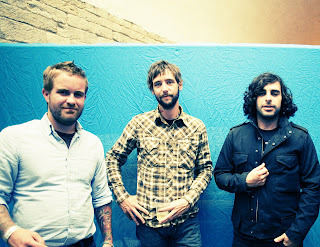 Here are a few reasons to get acquainted with alternative rock trio Band of Horses. # 1 : "Everything All the Time", the band's latest release, was one of ten finalists for the 2006 Shortlist Music Prize, an industry award given out by a select panel of fellow artists. # 2 : Their upcoming concert at The Showbox, in downtown Seattle, on July 2 is entirely sold out, and has been for several weeks. # 3 : "Everything All the Time" made Seattle Gay News' list of Top Ten Albums/CDs, 2006. This week's issue of the Seattle Gay News, out tomorrow (June 29), includes an interview with Band of Horses lead singer and guitarist Ben Bridwell. Find out how far along the group is with putting together its next album and find out which Capitol Hill gay bar Bridwell once went to for 'happy hour'. Pick up a copy of the Seattle Gay News tomorrow or read it online this weekend at http://www.sgn.org/ and get to know Ben Bridwell from Band of Horses. The interview will be in "The Music Lounge" column. You can ear-sample music by Band of Horses at www.myspace.com/bandofhorses. We recommend grabbing a copy of the CD at Easy Street Records or Silver Platters and skipping directly to the track "Wicked Gil". Band of Horses photo, courtesy of Sub Pop Records. Washington DC-based rock band Army of Me is headed to Seattle, and you have three ways to check them out. 1 Free in-store performance at Silver Platters (5th and Roy, Queen Anne) on June 25 - 4:50pm. 2 Full-set performance at Chop Suey (1325 E. Madison, Capitol Hill) on June 25 - 9pm. Advance tickets are $10. 3 Pick up a copy of tomorrow's Seattle Gay News (June 21) and read an interview with lead singer Vince Scheuerman. Find out what he's listening to on his iPOD and where he intends to go shopping when he comes to Seattle. Ear-sample music by Army of Me (pictured) by visiting www.myspace.com/armyofme. We especially like the tracks "Going Through Changes" and "Perfect". Featured in this week's five-section Pride issue of the Seattle Gay News are our picks for some of the best albums and singles of 2007 1/2. Below is the list. Check these songs or CDs out on YouTube or at your favorite music store. In Seattle, we recommend Easy Street Records and Silver Platters. * Photo of White Rabbits, courtesy of TAYR. Best Albums, Singles of 2007 - so far? Which 5 albums and 5 singles made our "Best of 2007 1/2" music list? Find out tomorrow in the special MUSIC section of the Seattle Gay News Pride issue, June 15. Our special MUSIC section also features a preview of this summer's most anticipated live concerts, including Kelly Clarkson and Josh Groban, and an interview with Canadian band The Reason. Plus, concert reviews of The Police and The Raveonettes. Pick up a copy of our Pride issue, hitting streets tomorrow afternoon, and see what our top picks for music are at the halfway point of 2007.